"Manu International" is a partnership based business organization, which was established in the year 1987 at Chandigarh, India. 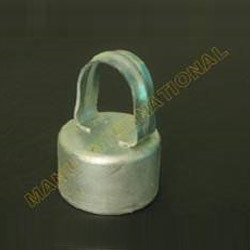 We are one of the eminent manufacturer, supplier and exporter of the market engaged in offering an extensive variety of Chain Link Fencing, Concertina Coil, Pipe and Tube, Ornamental Fence, Industrial Fastener and many more. Our product range is the first choice of various clients based across the nation for its premium quality, robust construction, high reliability, precise designs, long service life, dimensional accuracy, high tensile strength, corrosion resistance and abrasions resistance. We manufacture these products using advanced production techniques and high grade materials, which are sourced by us from reliable and trustworthy vendors of the market. The wide range of products manufactured by us includes PVC Coated Chain Link Fence, Chain Link Security Fencing, Barbed Wire, Galvanized Pipe, Pre Galvanized Pipe, Fence Fork, Hinge Set, J Bolt, Universal Bracket, Barb Arm, High Security Wall Fence, Mild Steel Fencing and many more. These products are also offered by us in customized form as per the precise needs of clients at industry leading prices. We ensure that all the products are timely dispatched and delivered to the clients.